With the 2019 AFL season set to get underway tonight, we take a look at eight storylines to be aware of for this year. The morning of Round 1 of the AFL season for footy fans can almost be compared to how Christmas morning feels as a kid. Six long months are finally over and footy is back better than ever. The AFL has introduced a new 6-6-6 setup at each centre bounce. It is expected to allow for space to be freed in the middle of the ground at the centre bounce as well as the forward line to allow for more faster exciting play. With space being freed up in the forward line as teams can no longer have a loose man in defence, how many goals will the Coleman Medalist kick? In the early rounds of the 2019 season, the AFL have announced they will use a new element similar to cricket’s “Snicko” system for all goal reviews. It is expected that the system can pick up audio from the goal posts allowing the umpires to decide whether the ball hits the post or not. This will avoid issues that have occurred in the past, where inconclusive camera angles have allowed umpires to be uncertain even following a goal review. In 2019, for the first time, players kicking out of the goal square following a behind, no longer have to kick it to themselves. This season they are now able run out of the goal square without their foot touching the ball. The 2018 draft class looks to be one of the strongest ever. Names to look out for in 2019 include: Sam Walsh (Carlton), Nick Blakey (Sydney Swans), Connor Rozee (Port Adelaide), Bailey Smith (Western Bulldogs), Jack Lukosius (Gold Coast), Xavier Duursma (Port Adelaide). Expect these players to make an impact in 2019. The new top-up system has been introduced in 2019. This allows for clubs to replace anyone that is put on the long term injury list with a player not currently on an AFL list. At the end of 2017, Sydney forward/ruckman Kurt Tippett announced a shock retirement. In the weeks prior to the 2018 season Sydney’s number one ruckman Sam Naismith went down with an ACL injury. This meant that Sydney’s ruck stocks were extremely low for the season and their depth for the 2018 season had taken a serious hit. We have already seen similar scenarios occur prior to this season showing it is already making a difference as multiple clubs have already signed top up players providing opportunities to state league players to show their worth in the AFL. Will Adelaide replicate their 2017 form? 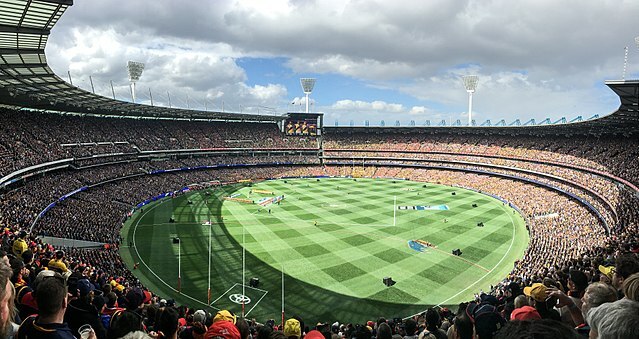 2019 will see Adelaide have their team at almost full strength again like it was in 2017 when they pushed for a premiership, ultimately falling short to a red hot Richmond in the Grand Final. Adelaide suffered a horror year of injuries in 2018, and this week we will see the return of key players such as Brad Crouch, Taylor Walker, Daniel Talia, Brodie Smith as well as a fit and firing Eddie Betts. The Crows are going to be hard to beat at Adelaide Oval this year. Expect them to recapture their 2017 form and push for a top-four position in 2019. Collingwood have put together arguably one of the best midfields on paper of all time during the offseason. Scott Pendlebury, Steele Sidebottom, Adam Treloar, Dayne Beams, Taylor Adams, Jordan De Goey, and Brodie Grundy as well as a Tom Phillips who had a breakout year in 2018. If Collingwood can get it together, and the midfield can perform as one on the field, the Magpies are a massive chance to go one better in 2019. Tom Lynch. Lynch when he is at full fitness is arguably the best forward in the competition. Insert him into Richmond’s already potent forward line headlined by Jack Riewoldt and a number of star small forwards it looks almost unstoppable, especially with the new 6-6-6 format. However, it may look good on paper but like all star-studded line ups it must function. Jack Riewoldt is known as an extremely unselfish footballer, but Riewoldt has always been the main man inside the Tigers forward 50. How will he go sharing that with another superstar forward? Richmond’s forward line over the past couple years has been centred around their fleet of small forwards such as Daniel Rioli, Jason Castagna, Dan Butler and Jack Higgins. It will be interesting to see how this structure changes with the addition of Tom Lynch. Can Hawthorn fill the void left by Tom Mitchell? The 2018 Brownlow Medalist Tom Mitchell was struck down by a broken leg at training in early January. He is the Hawks’ most important player. For Hawthorn to push for finals in 2019, players such as Jaeger O’Meara must step up as well as the likes of Isaac Smith, Liam Shiels and Tom Scully when he returns from injury. We saw plenty of young talent at the Hawks in 2018 such as the likes of James Worpel, Blake Hardwick and Harry Morrison, for Hawthorn to make the eight in 2019 without Tom Mitchell this young talent must continue to flourish. Will the Brisbane Lions live up to the hype? There has been bold predictions about Brisbane in 2019, with some experts predicting the Lions can push for a top-eight position this year. It is bold considering the Lions haven’t achieved much success in recent years as well as finishing 15th last season with just five wins. However, five of those games were decided by less than seven points. The Lions are stacked with young talent, players such as Cam Rayner, Hugh McCluggage, Alex Witherden, Eric Hipwood and Harris Andrews as well as the off-season recruitment of Jarryd Lyons from the Gold Coast Suns. Expect these players to improve again in 2019. If the Brisbane Lions’ youth continues to improve, combined with Charlie Cameron, Allen Christensen, Mitch Robinson, Dayne Zorko and the addition of Lachie Neale, there is no reason why 2019 can’t be the year the Lions finally rise up the ladder. We also can’t forget the wealth of experience Luke Hodge brings to the table, steadying the troops down back, as well as his off-field impact on the club, expect the Lions to double those five wins from 2018, and make it ten or even slightly more in 2019.